Please upload a copy of the Contract of Sale fully executed and dated by all parties. Please have the purchase Application completed and signed (enclosed). Statement of Assets and Liabilities to be completed, signed and dated by each applicant (enclosed).In the event a Corporation is purchasing the unit, a corporate financial statement must be provided.Verification of assets listed to be included in package as well (i.e. letter from bank(s) stating type of account, amount on deposit, age of account, monthly brokerage statements, etc). Please have tenant Data Verification Co. Credit Report Authorization Form (enclosed) filled out. Please upload four (4) personal reference letters. In the event a Corporation is purchasing the unit, the letters are to be on the designated occupant. Please upload two (2) financial reference letters (i.e. letter from bank indicating type of account, age of account, amount on deposit; letter from accountant or stockbroker). In the event a Corporation is purchasing the unit, the letters are to be on the Corporation. Please upload letter of employment stating position, salary, and length of employment. If you are self -employed, please provide a C. P. A. letter. Fire Safety Plan and Brochure (enclosed) for informational purposes. Please complete Notice of Intention to Lease Condominium Unit (enclosed). Please complete REBNY Condo Lease Application (enclosed). 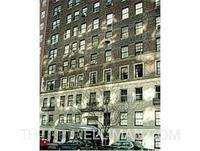 Please complete REBNY Condo Lease Agreement (enclosed). Please complete Statement of Assets and Liabilities for each applicant (enclosed). In the event a Corporation is leasing the unit, please upload a corporate financial statement. Pleaes upload four (4) Personal Reference Letters. In the event a Corporation is leasing the unit, the letters are to be on the designated occupant. Please upload Letter of Employment stating position, salary, and length of employment. If self-employed, please upload a C. P. A. letter. Please complete Lead Based Paint Disclosure Forms (enclosed): The disclosure documents must be completed in their entirety and submitted for review with the Board package. The Board package will not be sent to the Board of Directors for review unless the Lead Based Paint Disclosure documents are included. NO EXCEPTIONS will be made. Enclosed is a summary of the Lead Based Paint Disclosure Information. Please complete Sprinkler Disclosure Form (enclosed).